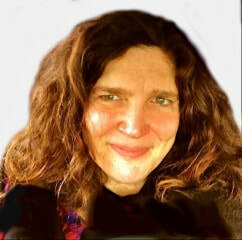 BIO - MERYL COHN PLAYWRIGHT. WRITER. STORYTELLER. Meryl Cohn is a playwright and author. Four of her short stories were recently selected as Glimmer Train finalists. She recently finished writing a novel, Actually Zelda. Meryl Cohn's play, REASONS TO LIVE was named Favorite Play by The Cape Cod Times. Awards include The 2015 Eventide Arts Jeremiah Kaplan Award, The ATHE Jane Chambers Playwriting Award, finalist for the MCC Playwriting Award, and semifinalist (twice) for the O’Neill National Playwriting Award. Meryl’s work has been produced or developed at The Skylight Theatre, The Open Fist Theatre, N.Y. International Fringe Festival, The Provincetown Theatre, W.H.A.T., The Soho Playhouse, Counter Productions, The Road Theatre, and Smith College, among others.